I have recently moved back into my family home since finishing university and have been doing my room and making it more homely. One of the main issues that I have with moving back is I have way too much stuff from having too places to live. I needed more storage in my room so I have had a look for drawers and things like this for my mountains of make-up that I own. So a trip to IKEA was definitely necessary. While I was there I picked up two floating shelves (£8 each), I really like these because the brackets are not showing and they look really-modern. I also got two fake plants, these were cheap at only £3 each. I also got the two plant pots that were green to match my room for only 80p each. I am not usually a fan of fake plants but I think these don’t look too fake and are less effort than looking after a plant! For my make-up, I found the new Skadis line that IKEA are doing a really good idea for my make-up storage. They’re basically a peg board which you can get metal trays, little baskets and cloth baskets for which can hold a lot of make up on a wall. The cloth basket was out of stock so I have to go back for this but I did manage to get two peg boards for £7 each and little baskets which cost £2. The metal tray is £4 which is really good and I will get another one of these. It helps me because it allows me to have more room on my desk and good way of storage. Even though this shop did cost £50 it is way less than what I would pay for a good set of drawers which would definitely take up more room. I will definitely be going back to finish my room! Hope you found this post interesting, thanks for reading! So I’ve been a bit under the radar recently, mostly because of work and uni assignments but also because it’s been my birthday! I had an amazing time turning 20 but also a very weird time going to work, was so lucky with the things that I got! So my sister is good at getting me lots of little presents which I much prefer because I love having useful presents that are practical also. Just like my pug socks here, face mask which I definitely need at the moment! As you can see, I have had one of my ferro rocher already because it’s my favourite chocolate. The little yankee candles are definitely really cool since they’re great for testing scents, my favourite is the black cherry one and the colouring book is great for my anxiety which will help when I’m hitting main exam periods. I’m the luckiest girl in the world, he has spoilt me rotten seriously, he got me three amazing candles from Dunelm which were so cute because he knows my obsession with candles, they have very different scents one is coconut and fruit juices, vanilla and then one is grapefruit I think. They’re absolutely amazing and fill the room with their scent so would definitely recommend. Next present he gave me was too much, I got three sets of Real Technique Make up Brushes… my dream seriously! If that wasn’t enough he got me a yankee candle set and …. a trip to the Making of Harry Potter! I am over the moon and don’t deserve him at all! My mom bought me this cute sign as well to put by my desk which is really cute and she paid for my dress that I went out clubbing, the thing I enjoyed the most about my birthday is just realising how many great people I have in my life and how much better off I am this year than last. Thank you to my best friends who’s presents I haven’t mentions (because the post would be too long) but if you want to see the many beauty items I got let me know! Love and appreciate everyone in my life and everyone who reads my posts! 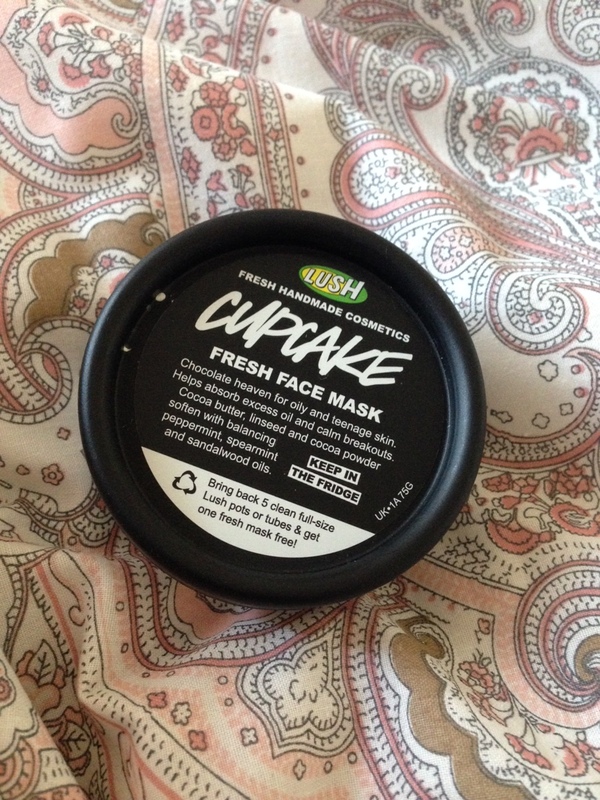 LUSH REVIEW: Cupcake face mask! So since I haven’t been posting as much as I would’ve liked to I wanted to kick off with a review on my absolute favourite lush product. I know this isn’t a seasonal one but it’s just so good and I had to share! So Cupcake is a fresh face mask from LUSH, the natural cosmetic store. The mask is made with all natural ingredients and is just the best. It’s especially made for oily skin and “teenage” skin (which I have been having quite a bit recently), so if you break out a lot this mask is perfect for you! 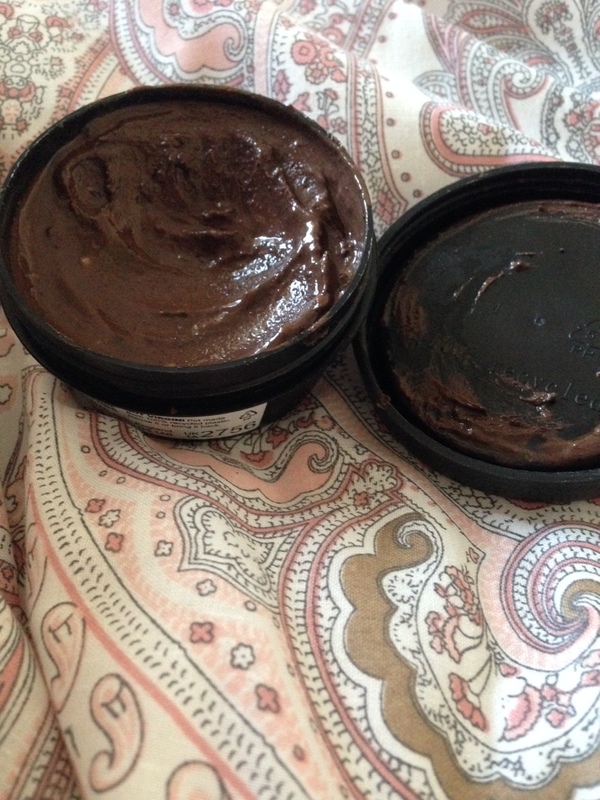 It’s main ingredients are cocoa butter, linseed and cocoa powder which moisturises the face and gives it the lovely chocolatey smell that is just amazing, so good you will want to eat it (but please don’t). To use the product it’s best to wash your face first so that it is clear of makeup and so that the mask has a clear base to stick on to. Then, put quite a thick layer of the face mask all over your face, if you do have oily skin try to focus on your t-zone as much as possible. Then you have to wait until the mask has completely hardened… taking selfies to send to your housemates is optional but I did it anyways! This should take 5 to 10 minutes so just enjoy the smell and destress yourself for a bit. After this you can just wash it off with warm water and feel the difference, you’ll feel how smooth your skin is pretty much immediately! So I hope you found this interesting and let me know if you have any ideas or requests!